Subscribe to our mailing list to receive updates on Gig dates, competitions and news it's FREE! 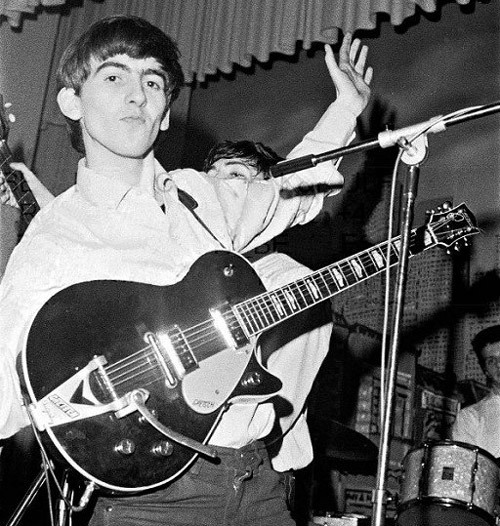 In the summer of 1961 George Harrison heard that a Liverpool cab driver was selling a Gretsch Duo Jet electric guitar. The cab driver wanted £90.00 but George only had £70.00. The deal was done at £70.00 but George had to provide an I.O.U. for the balance which he later paid. 20% OFF AT SWANSEA GRAND! 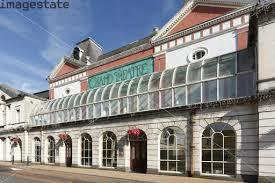 ONLY 3 MORE SLEEPS TO OUR GIG AT THE SWANSEA GRAND!!! Get a whopping 20% off your tickets for Swansea Grand this Thursday 18th September. Visit http://bit.ly/Swansea180914 and quote “UBFLYER” in the Coupon Code box. WHAT’S YOUR FAVOURITE BEATLES TRACK ??? After they met Elvis john said he was disappointed!….. In later years he said he thought Elvis was like Englebert Humperdink!!!!! 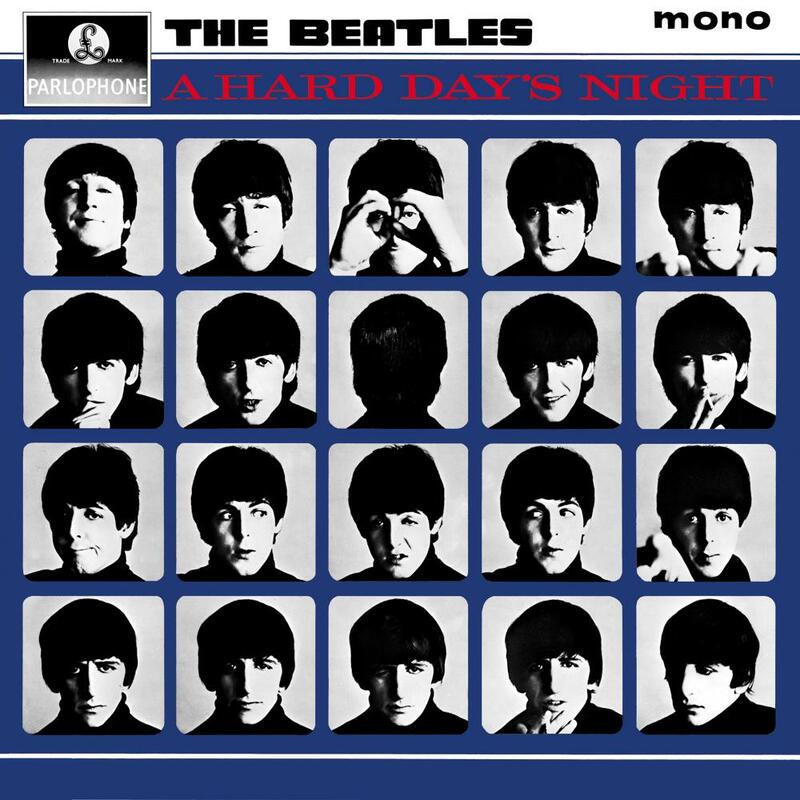 In 1964, The Beatles were filming for A Hard Day’s Night. 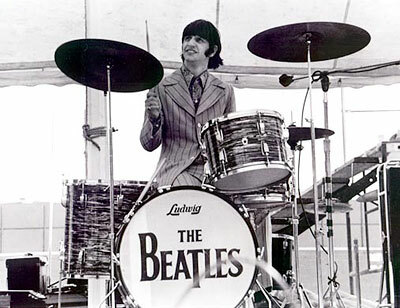 Following their four-day Easter break, The Beatles returned to London’s Scala Theatre to film the concert performance sequence which was billed as a “live television performance” and which marked the climax of the film…. 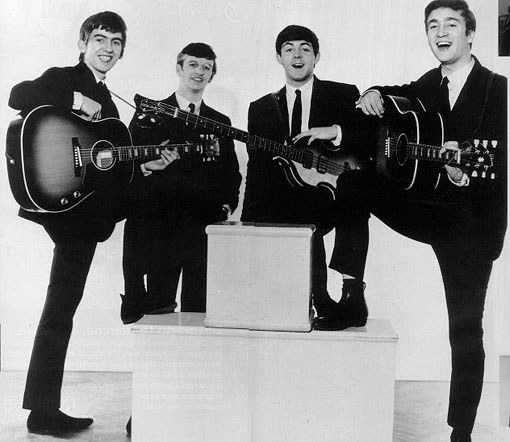 “The Upbeat Beatles? I luv them, yeah yeah yeah!” Noddy Holder 2016. The Upbeat Beatles Put on fab show in Worcester.